It’s a given fact that when kids are in the bathtub that they want to play. 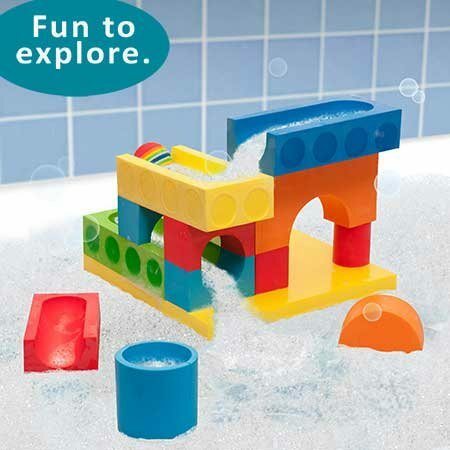 Why not give them something engaging to play with such as BathBlocks? 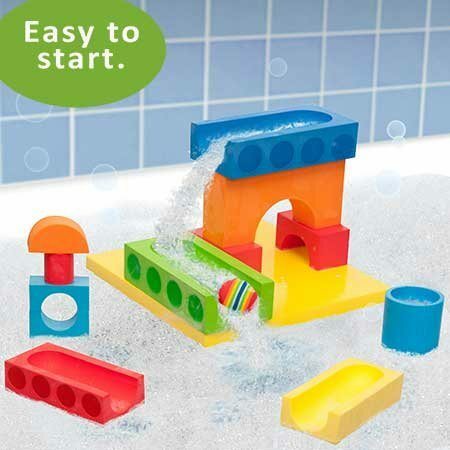 This is a great toy to keep the kids in the bath longer and also that brings classic play together with a fun creative environment. 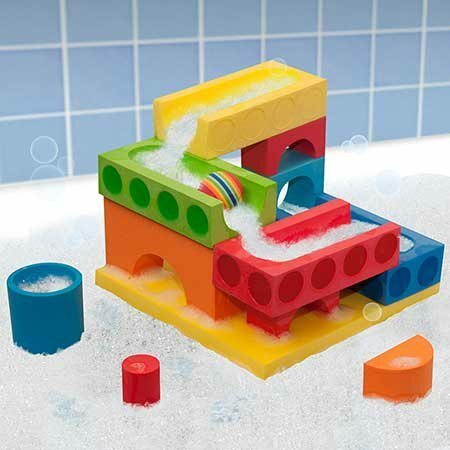 You can create all sorts of things with the BathBlocks set such as water slides, floating towns and much more. The more the blocks are in the water, the more they stick together, which is great for kids. This is a wonderful new way to play with clings for the tub. Instead of just sticking things to the wall, the kids can play with BathBlocks and wild their own water creations that float on top of the water. Even better, BathBlocks are made from bacteria and mildew resistant EVA and contain no PVC or phthalates. I know that I am not the only one that doesn’t take the kids toys out of the tub every single time, so this is great news that they will not collect bacteria. Educational toys are on the rise and it is great to have one that is a companion for the bath. Water blocks will help children with their creative sides and also builds STEM skills (Science, Technology, Engineering, Math). BathBlocks make kids think about things that they don’t even know that they are including geometry, addition, subtraction, multiplication, division, balance, structure and cause-effect. BathBlocks is giving a set of their blocks away to one of my readers! This giveaway is open for two weeks and is open to the US Only. How Do Ninja Offers Work? The floating cooking set is pretty cool. I've never seen anything like that before. These blocks are adorable. I know my grandson would love them! Great idea!